Amazon Studios released the pilot episode of “The Man In the High Castle.” The pilot, which filmed in Seattle hired hundreds of local cast and crew and over 200 local vendors. Over the course of the production’s 26 filming days in Seattle, various locations were featured, including the Chinatown/International District, Pioneer Square, Georgetown, and SODO. 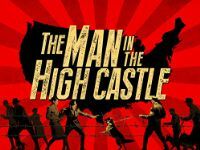 Since its release on January 15, the “The Man In the High Castle” has been tipped by Wired, The Los Angeles Times, and other publications as the most likely of Amazon’s recent pilots to become a full series. The pilot can be viewed for free on Amazon.com, and user reviews will be used to help determine its fate.